Let’s talk about marriage. Hey, wait!!! Not “the legally or formally recognized union of two people as partners in a personal relationship” kind but the marriage of edible ingredients that are so tastefully good together that they should get and stay married, just to satisfy our palates and all our senses. There is that kind of marriage in the Mediterranean Greek cuisine and it is called “Φάβα Παντρεμένη – fava pantremeni” = “Fava Married”. It is actually a traditional Greek Mediterranean dish that looks like puree but it is far more than this. 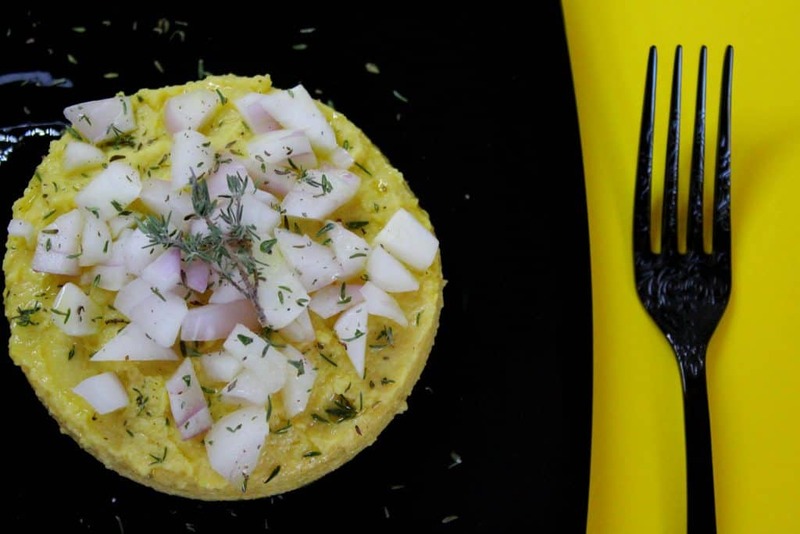 Split peas, onions, lemon, oil olive and thyme form a harmonious marriage of ingredients, hence the name of that dish. 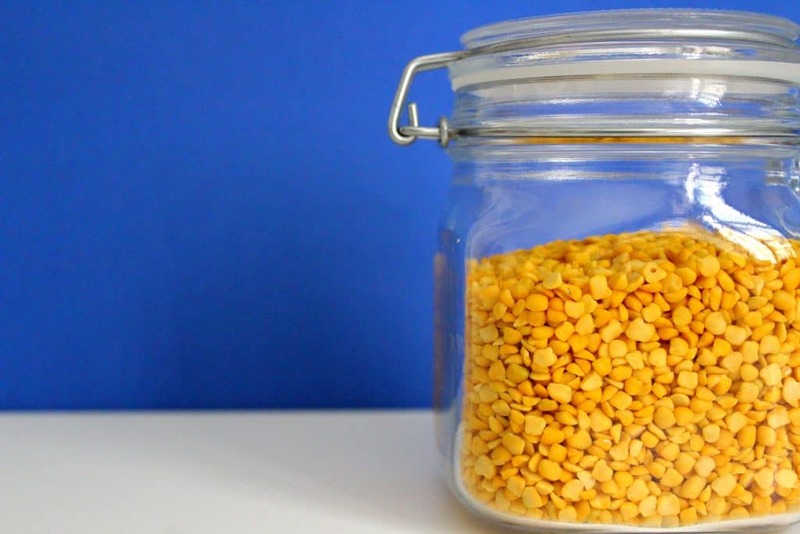 Yellow and green split peas, beans and lentils belong to the legume family (another name is “pulses”) and they are the edible seeds of legume plants. We love all of them because they are so versatile, delicious and healthy. Fava can be eaten as a dip or you can spread it over freshly baked bread but it can perfectly stand as a complete meal, either lunch or dinner. Great low-fat source of protein, full of antioxidants and high in fiber just to start with the basic cooking version because the combination of lemon, onion, and olive oil make that dish a nutritional health-bomb. Additionally, if you choose the full dish meal, you may spruce it up with oily fish and benefit from omega-3 as well. Personally, I am spicing things up with caramelized onion which my husband and I absolutely love. I particularly enjoy his vocal expression of culinary satisfaction. You know, mmmm and yummy and wow!!! On one hand, it is quite amazing such a simple plate to provoke that kind of reaction but on the other, this is rather usual in the Mediterranean Greek cuisine: endless combinations of real food, healthy and fresh ingredients in simple and easy to execute recipes. 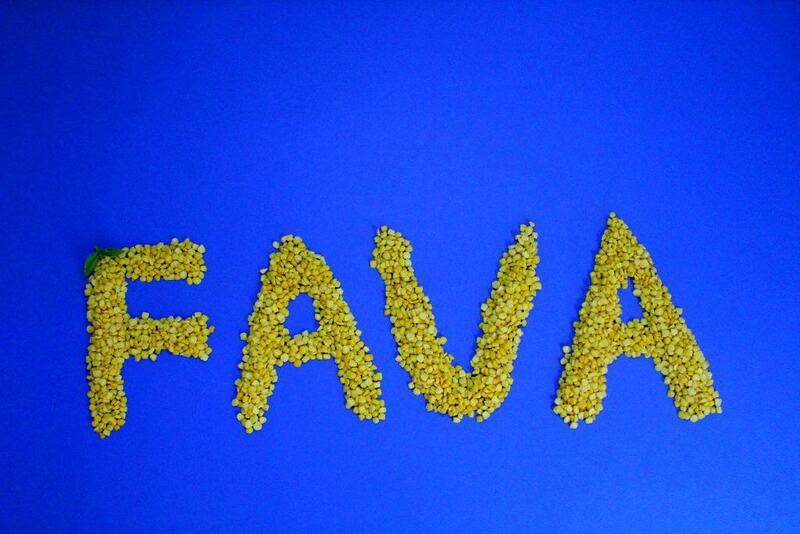 In Greece, you may find fava in almost every tavern or restaurant, usually as an appetizer or dip. There are so many cooking versions of fava that even me, a real fava fanatic, haven’t yet tasted all of them and I keep finding more. Now, hear me out please, because there is a huge misunderstanding concerning that dish and I am quite sure that even the majority of Greeks don’t know about it. 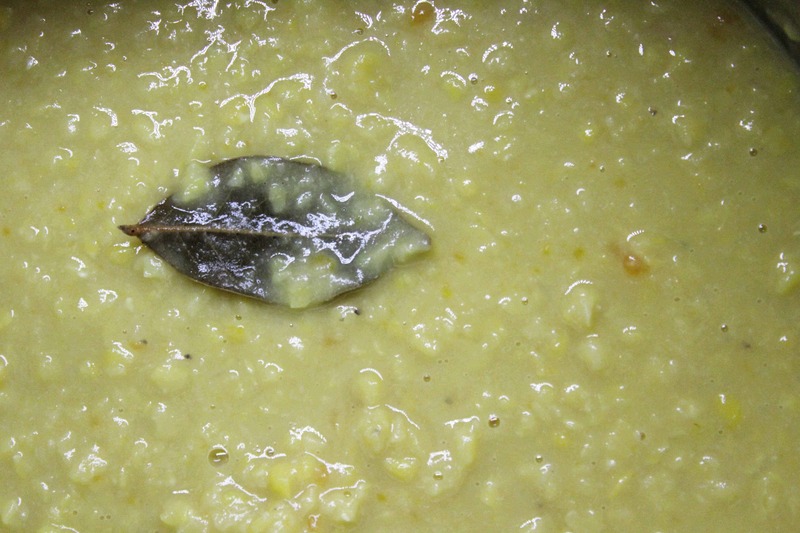 The authentic Greek fava dish is made from the seeds of the plant Lathyrus Clymenum which grows and is mostly exclusively cultivated on Santorini for 3.500 years (archaeological excavations in the prehistoric site of Akrotiri, on the southern side of the island, revealed grains of that plant). Actually, it is a unique kind of fava bean as the volcanic soil of Santorini and the ecosystem of the island have their impact on flavor and quality. 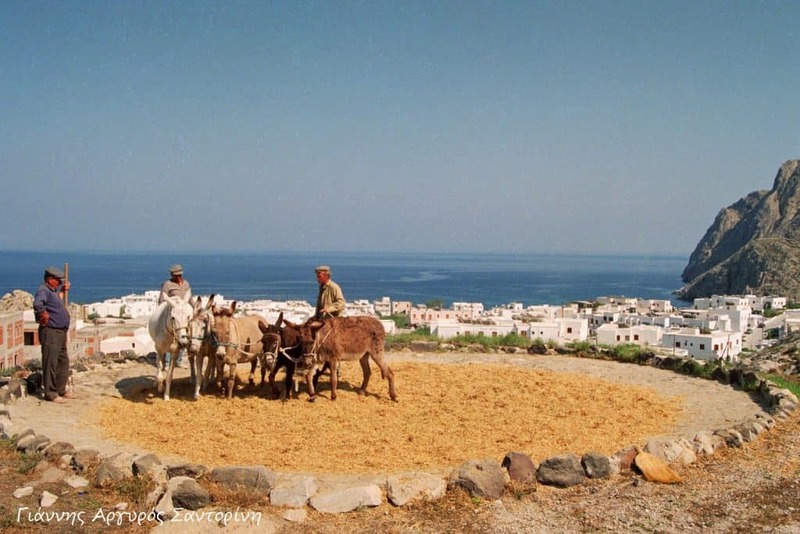 That’s why “Fava Santorinis” was awarded PDO status (Protected Designation of Origin) by the European Union in 2011 and gave to that premium agricultural product the place and the reputation it deserves. When the peapods are fully mature, they are stored in underground storehouses for a year, then dried in the sun, cleaned, peeled and naturally split. It is a traditional agriculture method almost as old as the island itself and if you visit the island in May, you may witness the traditional harvest. Just drive around the island and stop when you see activities like those in the above pictures. Locals are so proud of their island that everybody will be more than eager to show you around even if they don’t speak your language. Come on, guys, don’t be shy!! Live a little and have a great experience there!!! 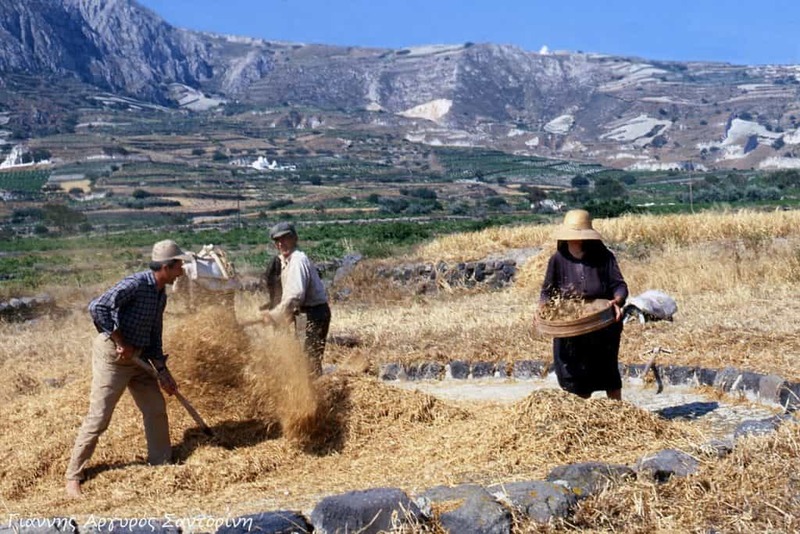 Other parts of Greece and the Mediterranean area produce seeds of great quality, mostly peas that are dried and split, the well-known and globally consumed split peas wallow bean and the split peas green bean. In Greece, we call fava almost all the dried legumes that are cooked and served as creamy purees and this is a huge mistake. We have to protect the authenticity of fava recipe and clear out that the authentic one is the fava that comes from the Santorini’s legume plant. Nevertheless, fava from split peas is delicious, equally nutritious and this is what I am going to cook for you in that post. The bottom line here is that when you eat fava in Greece, it doesn’t necessarily mean that it is the Santorini’s authentic one unless it is indicated on the menu (and price!!!) and I strongly suggest to ask for it for extra sweet taste and velvety texture. Hey, guys!!! If your summer plans don’t include traveling to Greece, finding a nice beach, sitting in a seaside tavern and ordering fava, don’t worry. I will (sort of) help you and cover the culinary part of your problem. I will reveal all my secrets for a creamy, sweet and velvet fava even though it is not the authentic one it comes as close as it gets to culinary perfection!!! Let’s get started, shall we? I choose to cook yellow split peas because they have a sweeter and starchier taste and the younger members of the family prefer it from the green ones (huge surprise, I know). I had decided to present you my knockout fava with caramelized onions dish but I didn’t find enough onions in my pantry. So, I changed my plans and decided to go for the basic version and leave my favorite version for another time. 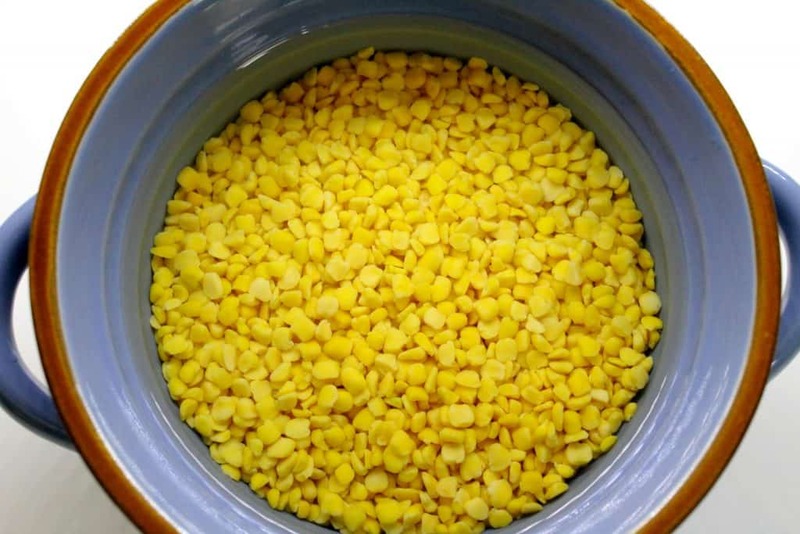 Yellow split peas don’t require soaking. However, my grandmother soaked them in tap water overnight and saved almost 20 minutes in cooking time but I skip that step because you get a viscous texture which I don’t like. Instead, I usually rinse them in a colander under cold running water or I put them in a bowl and leave them for a while, just to be sure they are clean and ready to cook. Tip #1 I avoid sautéing procedure and I prefer to add spices and aromatic herbs. 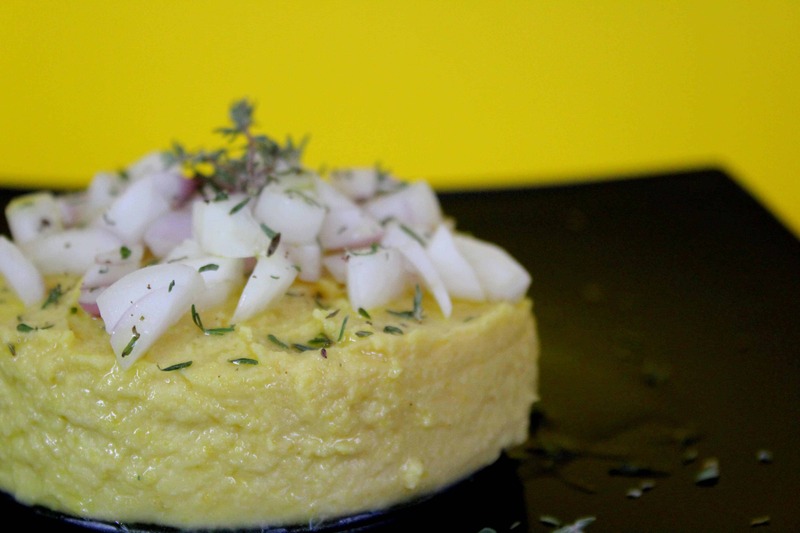 This fava recipe is divine if you add carrot and onion. You will get extra sweetness from their combination. Tip #2 Cumin is the secret ingredient that makes the difference. It stays in the background and only a very experienced palate could guess the origin of that sharp taste behind all that sweetness. Be careful though because too much of cumin could easily destroy all your efforts. My husband and kids hate cumin but they enjoy my fava every time. So, even if you don’t like cumin, give it a try and you won’t regret it. Tip #3 Combine whatever leftovers are available with fava. Dried peas are so versatile and they go with almost everything. Use your culinary imagination on ingredients you got into your pantry and fridge. Enjoy! And some more… left overs and your culinary creativity! Place the split peas in a bowl, pour tap water. Wait 5 minutes and rinse the split peas with plenty of water. Repeat until the water is crystal clear (usually 3 times). Drain and transfer to a pot. 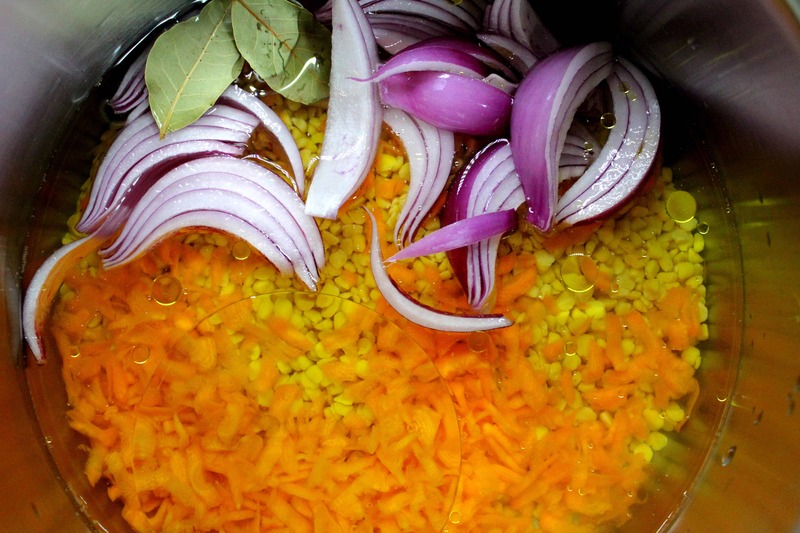 Add 4 cups out of 6 (800ml out of 1.200ml) of water or vegetable broth, shredded carrot, sliced onion, oil olive, and bay leaves. Place the pot over high heat and bring to a boil for 5 minutes. 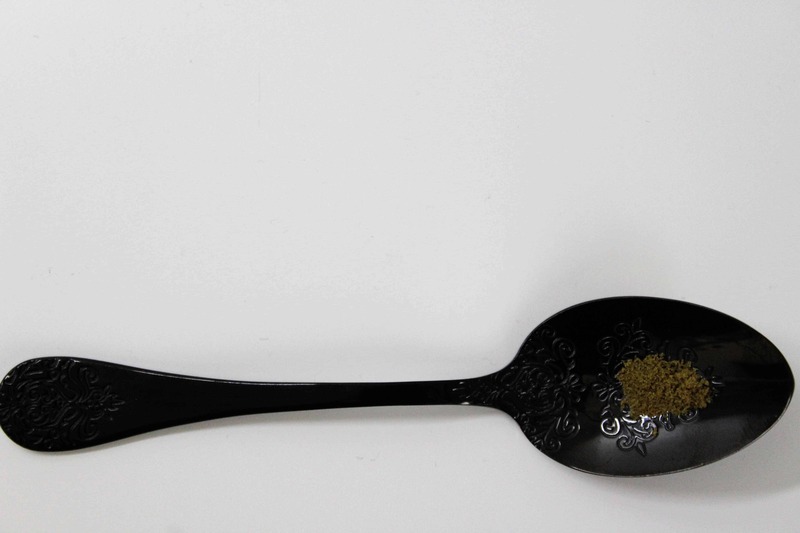 Remove with a spoon the white foam that usually surfaces. Turn the heat down to medium and simmer. It takes more or less half an hour for the initial amount of liquid to be absorbed. Add salt, pepper and cumin. 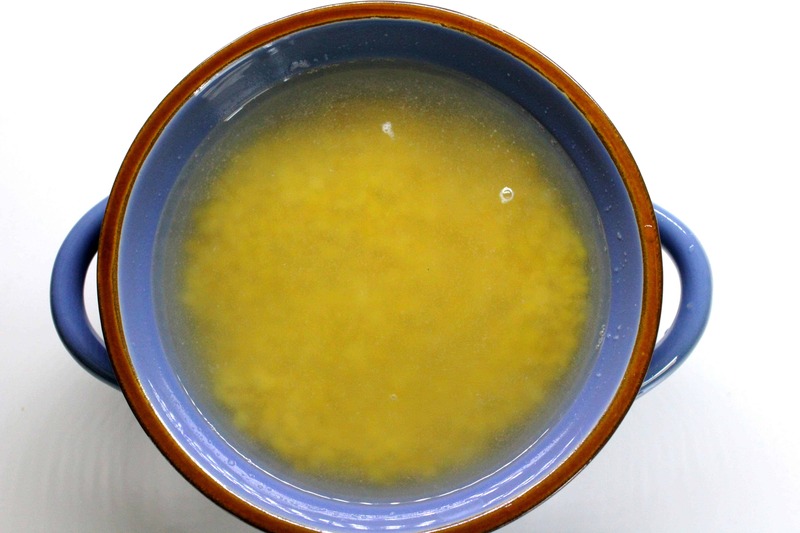 Add gradually more water or broth, turn down the heat and stir until split peas are very tender and the texture is similar to a thick soup. At that point, stir quite often. It takes more or less 50 minutes but cooking time depends on the product. 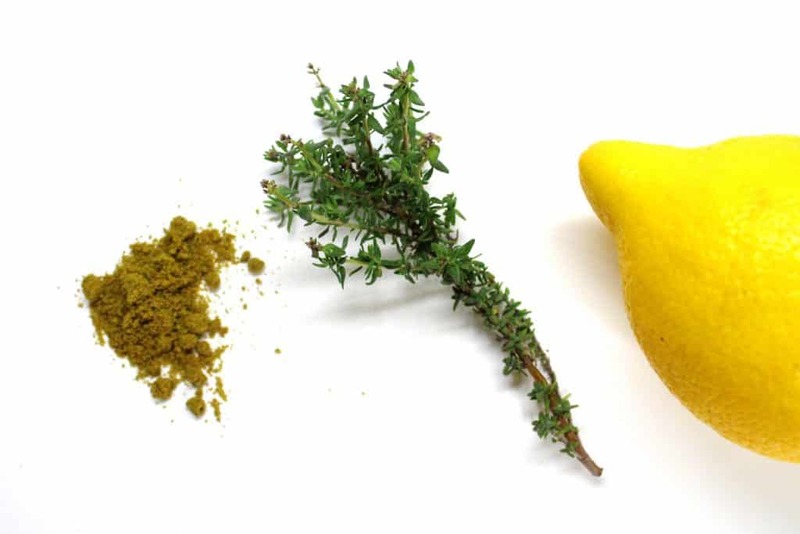 Remove from heat and add lemon. Put the mixture in food processor and mix until the peas are smooth and creamy, like a puree. Serve with extra virgin olive oil, diced onion, thyme, freshly ground pepper.